Gosh I love me a good adventuring day :-) It's my favorite! I look like I'm adventuring on a safari--but fear not! I was merely traipsing around suburbia. I've coined the term "Adventuring" for one of my absolute favorite activities--the discovery-day, with no set plans, no set destination. 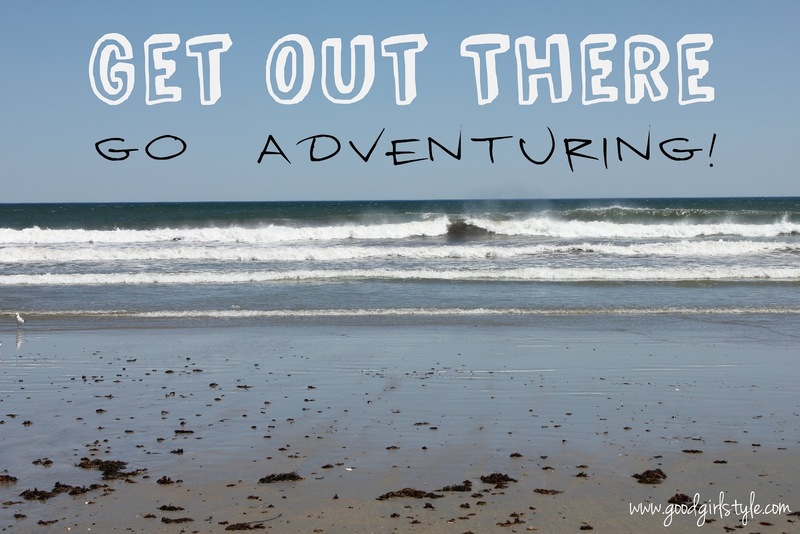 Only adventures. You might end up at an adorable old-fashioned thrift shop and find jeans, a vintage nightie, and a perfect white button-down. 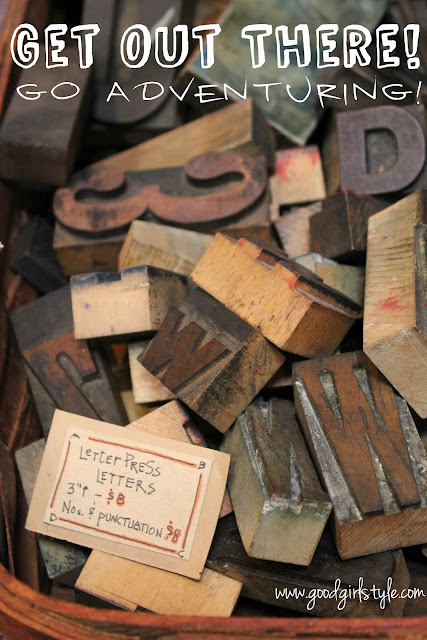 You might end up at a wonderful antique store with a basket of old letterpress letters (love)! Depending on where you live, you might even end up at the beach! My adventuring has had me meeting well-known artists, eating amazing local foods, encountering folk dancers on a small New England green, and more! 1.) Make snacks and drinks part of your day. I love an ice cream from a random ice cream stand, or an iced coffee from a little mom-and-pop coffee shop. You can discover lots of wonderful little places, and snacks and drinks are easier on the budget than whole meals. Take the time to sit on the front step and take in the surroundings. 2.) Bring TWO tote bags. Bring an empty one to carry in your purse until you need it. You'll want to slip your sunglasses in it, literature you pick up from that cool artists open-studio you found or a business card from the funky little bakery. In the other tote bag, keep some 'supplies' for the day in your car. I suggest sunscreen, bug spray, a change of comfy shoes or flip flops, a hat, bottled water, a 'just in case' snack, a book to read, and a notebook and pencil. 3.) Choose your tunes--or skip 'em. Some days I love to adventure with all of the windows down and the radio blasting. Other days, I find the quiet soothing to my soul. There is something about the open road that seems to inspire inner thought, don't you think? 4.) Take photos--or skip 'em. Sometimes I want to capture every detail of my day. Other days, I want my heart to capture all of the memories, so I leave my camera behind. Sometimes I dig out my notebook and pencil and sketch instead. Do whatever feels right at the time! 5.) Stop at Quirky Places, Tourist Stops, and All of Those Things You Said You'd Do One Day. Stop at that cute diner. The florist with the beautiful flowers out front every day. Pop into the record store, even if you don't have a record player. Stop at places like the Postage Stamp Museum or the Toaster Museum or that roadside stand that claims to have the World's Largest Hamburger. 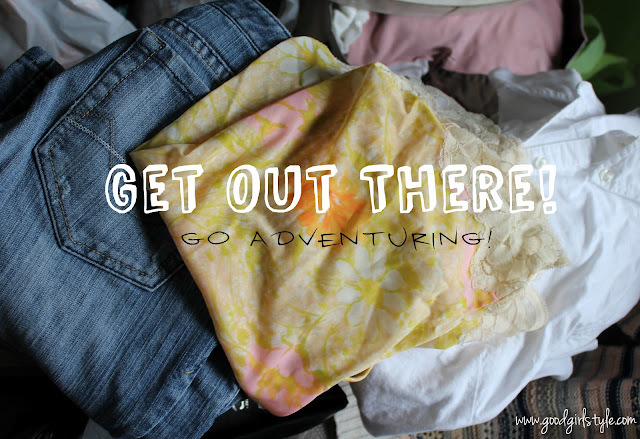 Because you're adventuring, right? 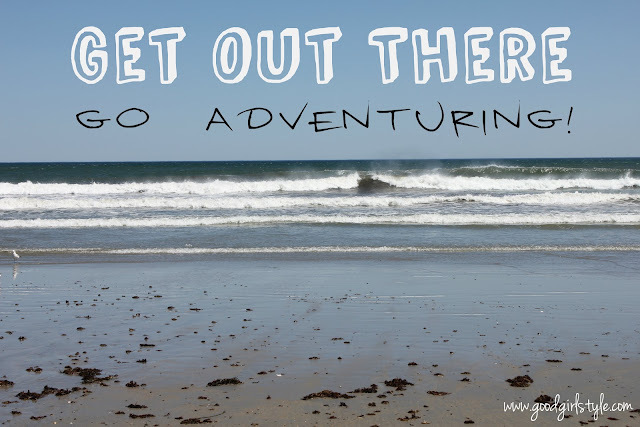 So be adventurous. 6.) Be incredibly kind to everyone you meet and enjoy the spirit of the day. Enough said! I really hope you have as much fun as I do while adventuring. I wish I could show you more pictures, but I'm an internet scaredy-cat, and don't want to show you all exactly where I live. BUT I was thinking today of the impromptu little stop I took to this cute Iowa town on a road trip last year. I was so happy to find this little Dutch town, its Tulip Festival statues, Christian bookstore, coffee shop and windmill. What a fun interlude in a long road trip! You never know what you'll find. Have a great weekend, and I'll catch you on the other side!